Get A-Head Patient Group held a very successful Christmas party on Friday 9th December 2016, at the Tally Ho Banqueting and Conference Centre in Birmingham. Over 90 patients and friends attended the evening and lovely food and drinks were enjoyed by all. On the evening there was a raffle and guess the celebrity hiding under the Santa hat, as well as Name the Get A-Head Teddy Bear game! The fun continued with the live entertainment provided by Ukulele Central and music from The Tom Walker Trio. Check out the video below for a few highlights of the evening. 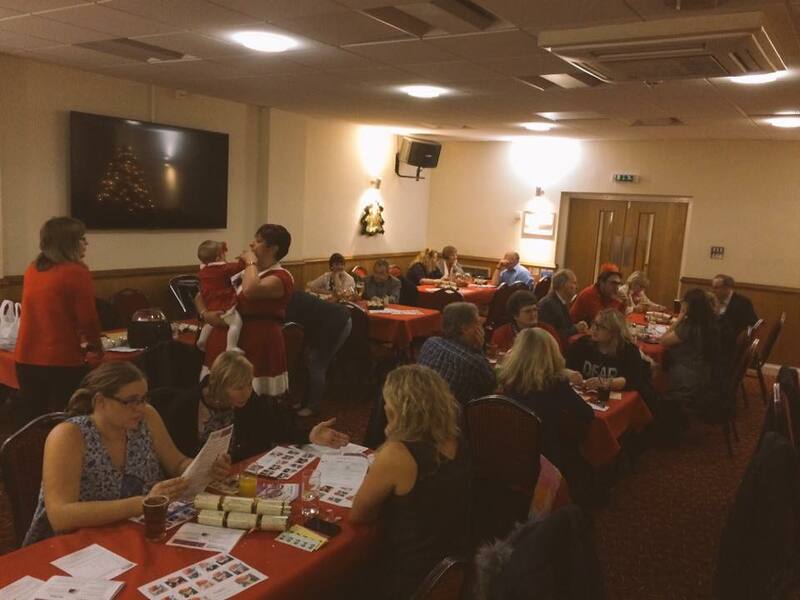 The evening was a huge success and many attendees called us to say how much they enjoyed the evening and have already put their name down for next year’s party, so keep a look out for details in the New Year.